One more month to the hottest month of the year in Thailand. The burning heat, extensive noise, air pollution, and overcrowded streets of Bangkok can 100% drive you crazy in April. 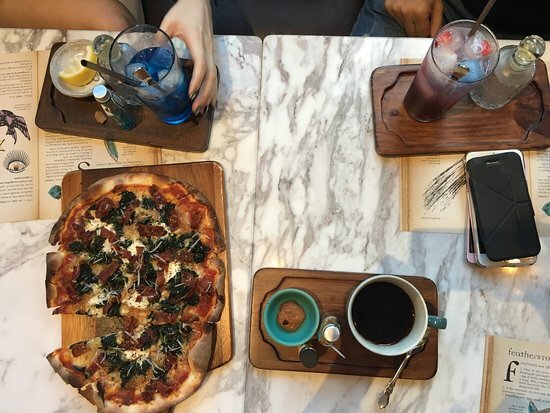 If you are planning to head over to Bangkok for Songkran, you may as well check out these 5 cafes to cool down the after heat effects too. These cafes may also be a good escape from crazy water splashing crowd for those who would like to keep themselves dry too. This photo of Featherstone Cafe, Bistro & Lifestyle Shop is courtesy of TripAdvisor. Surely you want to hide away in a beautiful cafe while escaping the heat, right? 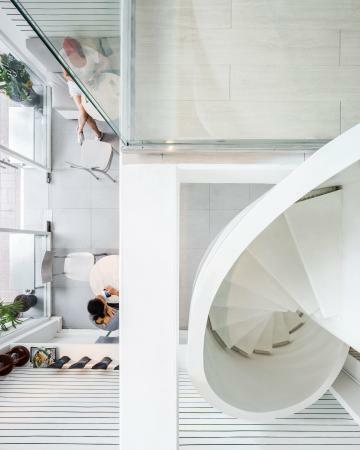 Featherstone’s interior design is definitely out to awe every customer. Each piece of furniture and dining ware matches the interior design perfectly well. With such amazing decorations, your mood will instantly be lifted up and you’ll feel calm despite the heat. Additionally, the food there is to die for! We would recommend you to try out their salads and their Rustic Slow Cooked Braised Pork Rib. I’m not a fan of vegetables and I rate their salads top 3! If they can make a carnivore like me enjoy their salad, they will make anyone else fall in love with it. Meanwhile, their pork ribs are so tender that it will fall off the bones with a light touch. Mmmmm… Every spoon melts in your mouth just like eating ice cream. Image via Featherstone FB page. This photo of Kaizen Coffee Co. Bangkok is courtesy of TripAdvisor. 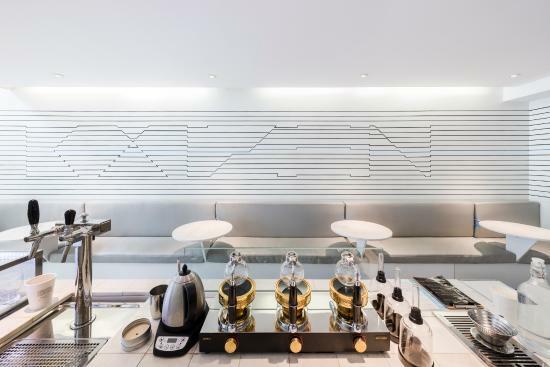 Kaizen Coffee Co. Bangkok brings a mixture of futuristic interior design with top-notch coffee. Its design is sleek and organized. Together with the mainly white interior, you will definitely find peace in this cafe no matter how hot the weather is like in Bangkok. Do give this unique futuristic cafe a visit if you are around Ekkamai area. I would go to the extent to say that they probably have one of the best coffees in town! They offer a small range of breakfast and brunch menu here too. Phil Coffee Company is one of the best place for daily dose of caffeine. Here, coffee beans are sourced from all over the world, and roasted in small batches. For those who want to learn more about coffee, this coffee shop provides barista training which includes latte art and coffee tasting. 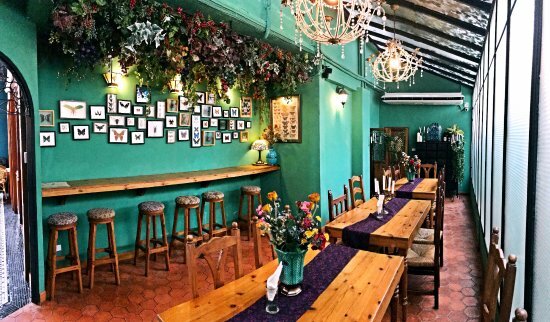 This cafe is decorated beautifully with brick walls, dark wood furnishing, marble tables, dried flowers hanging from above with various bottles placed at every corner. It is a very nice rustic place to chill and relax in lovely ambience and makes you feel like you stepped into a ‘secret world’ especially when contrasted with the busy bike-filled streets of Bangkok almost right behind it. The food is good and the friendly staff will assist to choose dishes with detail explanation. The price is a bit high but worth to pay. The mild Flat White, an espresso made with Chiang Rai beans from northern Thailand with milk foam, is one of their most popular drinks. Customers can choose from popular items like the Thai herb seasoned “One Day Cheeseburger”, pasta, original desserts, and craft beer. The cafe is really spacious, enough to create a sense of privacy and quiet even during peak hours.